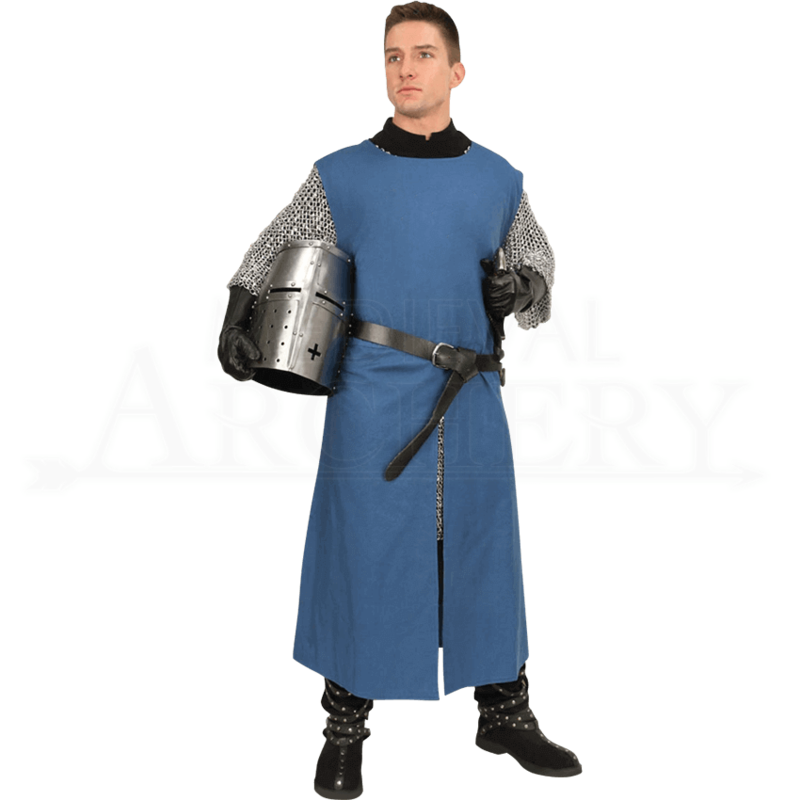 No matter which role leads you to the LARP battlefield, be you a medieval knight, archer, or infantryman, the Solid Color Surcoat lends extra authenticity to your role. Step into full character and fight bravely for the kingdom. 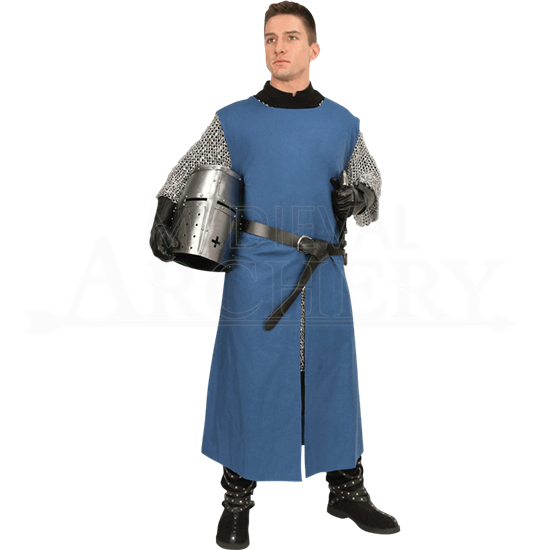 Made of strong, durable cotton twill, this sleeveless tabard is roomy enough to wear over a chainmail hauberk. A wide, rounded collar makes it easy to slip over the head. The tabard is full-length, reaching approximately to mid-calf. Back, front, and side slits run from the waist, increasing freedom of movement. Create a period costume that is both authentic and unique with the Mens Solid Color Surcoat. This item it just as nice as the picture makes it look, and the color is exactly as pictured (at least the blue, as that is the one I ordered). The fabric is light, but it is two layers thick which gives it a good strong feel (inner layer seems to be a sort of linen while the outer layer is the heavier twill fabric). It does, however, wrinkle very easily, so don't expect to look fresh when you stand up after sitting for even a few minutes.